Who says #Throwbacks are reserved for Thursdays? 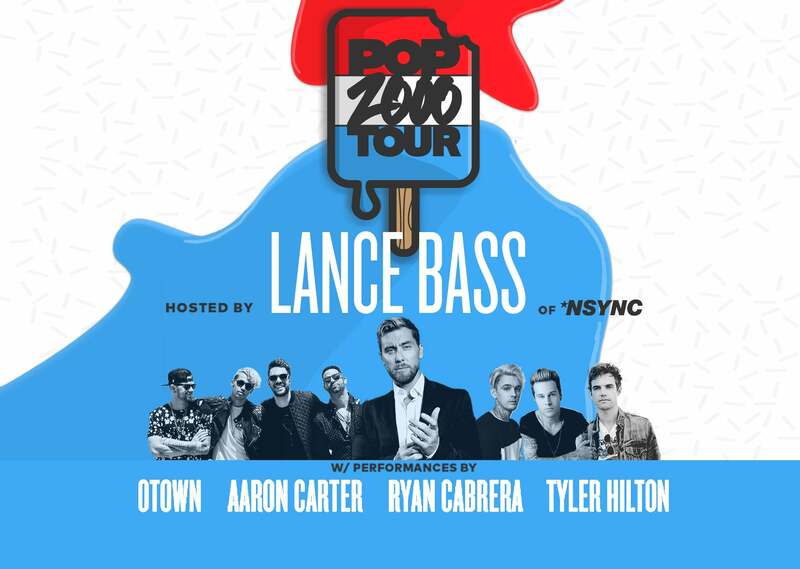 The Pop 2000 Tour comes to H-E-B Center at Cedar Park Fri, May 17th hosted by Lance Bass of *NSYNC, featuring performances by platinum-selling POP2K artists O-Town, Aaron Carter and Ryan Cabrera plus ‘One Tree Hill’ Alum Tyler Hilton. The Pop 2000 Tour delivers the TRL moments that will bring you right back to the early 2000s. Featuring performances of the decade’s biggest songs “Bye Bye Bye”, “All or Nothing”, “I Want Candy“, “On the Way Down”, and more, the Pop 2000 Tour provides the soundtrack for a Napster fueled trip down memory lane for audiences that came of age in the early aughts.